What Is Google Fiber? And What Is Webpass? Google Fiber is a high-speed internet connection similar — although significantly faster — to offerings by Comcast Xfinity, AT&T U-verse, Spectrum, Verizon FIOS, and other internet service providers. Owned and operated by Alphabet, the parent company of Google, Google Fiber was announced in 2010 and began its initial rollout in 2012, a year after choosing Kansas City as its official launch location. A small test rollout near Palo Alto was completed prior to launching in Kansas City. Why Get Excited About Google Fiber? Is It a Big Deal? Google Fiber offers internet as the speed of 1 gigabit per second (1 Gbps). By way of comparison, the average household in the United States has an Internet connection of just under 20 megabits per second (20 Mbps). High-speed internet these days usually ranges between 25 and 75 Mbps, with a few offerings topping 100 Mbps. 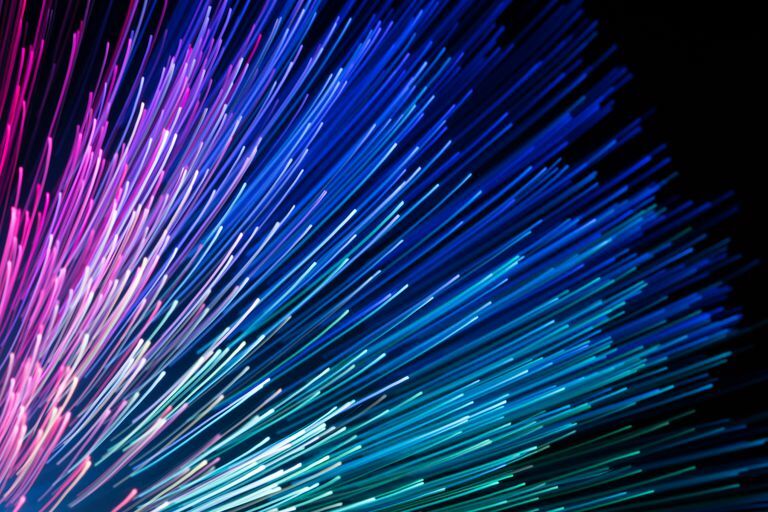 A 1 Gbps connection is hard to imagine even if you've been working in technology for a few decades, so what exactly can it do? We're slowly moving from 1080p video up to 4K video, which is great from a quality standpoint. But in 1080p, a movie like Guardians of the Galaxy Vol 2 only takes up around 5 gigabytes (GB) in file size. The 4K version takes up a whopping 60 GB. It would take the average internet connection over 7 hours to download the 4K version of the movie if it were downloading at the optimal speed. It would take Google Fiber less than 10 minutes. This is in theory, of course. In practical terms, companies like Amazon, Apple or Google will limit that speed significantly to avoid their websites becoming overwhelmed, but the greater speed means you can have dozens of connections each running much faster than the average household. While that 20 Gbps representing the average connection can stream a 4K movie, it couldn't stream more than one at a time. With Google Fiber, you could stream 60 movies with 4K quality and still have plenty of bandwidth to spare. As our movies, games, and apps get bigger and bigger, higher bandwidth will be needed. Why Is Google Pushing It? While Google has never opened up about their long-term strategy where Google Fiber is concerned, most industry experts believe Google is using the service to push other providers like Comcast and Spectrum into providing higher bandwidth connections more so than actually competing against them. What's good for the internet is good for Google, and faster broadband speeds mean faster access to Google's services. Of course, this doesn't mean Alphabet isn't looking for direct profit from Google Fiber. While rollouts to new cities paused in 2016, Google Fiber launched in three new cities in 2017, including one previously unannounced city. Google Fiber's rollout remains slow, but a major improvement in the 2017 rollouts comes from a technique of laying fiber called shallow trenching, which allows the fiber to be laid within a small hole in the concrete which is then backfilled with a special epoxy. The installation of the fiber optic cable across an area as big as a city is the most time-consuming portion of a rollout, so any increase to the speed of laying the cable is good news for people waiting for Google Fiber. Webpass is a wired internet connection without the wires that is aimed primarily at high occupancy residential buildings like apartments and commercial buildings. It sounds odd until you understand how it works, which is actually pretty cool. Webpass uses an antenna on the roof of the building to receive a wireless Internet connection, but the building itself is actually wired. Basically, it acts just like any other internet service as far as the end user (i.e. you!) is concerned, And while not quite as fast as Google Fiber, it's actually quite fast with bandwidth ranging from 100 Mbps all the way up to 500 Mbps, which is about half the speed of Google Fiber or 25 times faster than the average internet speed in the U.S.
Google Fiber bought Webpass in 2016. The acquisition followed a period when Google Fiber had paused rollouts, fueling speculation that Google would drop Google Fiber. After buying Webpass, Google Fiber resumed rollouts to new cities. Where Is Google Fiber Available? Can I Get It? After a test launch near Palo Alto, Google Fiber's first official city was Kansas City. The service has expanded to Austin, Atlanta, Salt Lake City, Louisville and San Antonio among other areas around the country. Webpass is based out of San Francisco and serves Seattle, Denver, Chicago, Boston, Miami, Oakland, San Diego, and other areas. Check out the coverage map to see where Google Fiber and Webpass is offered, including potential cities that may have these services in the near future.